Buying an iPhone is no less than a luxury these days. And once it is in your hands, the smooth performance, elegant look and the exciting features won’t let you stay away from it even for a single minute. In just a few days, it becomes your best companion and the only time you feel bad about your iPhone is when its battery goes down. It becomes quite frustrating when you struggle to make the most of your iPhone at such point. 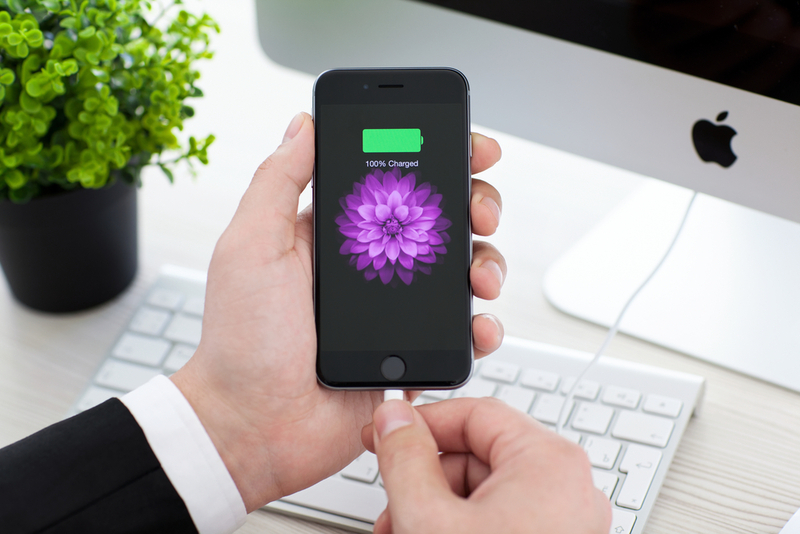 Though we can’t help you much about the fact that your iPhone does need charging, we can help you know about some cool tips that will make your iPhone battery last longer. Some of them are coming straight from Apple! Check them out and spend more time with your brand-new friend. One of the simplest ways to save your iPhone’s battery is to make certain changes in its settings. Begin by adjusting your screen’s brightness as it eats up a lot of battery life. You don’t need to keep the brightness at the fullest at all times. Instead, dim it as per your surrounding or just opt for the Auto-Brightness and let your iPhone do that for you. Apart from this, you can also turn off Background Activity to ensure that unused apps are not pulling up data. What else? Well, you can also turn off iCloud and stop auto backup which is also known to zap your battery faster. We know that you have got a new iPhone with the latest version of iOS, but someday it will get outdated and start affecting your battery. So, this one is a tip for the longer run. Apple advises its customers to always use the latest iOS version for better performance and a greater battery life. Moreover, if you wish, you can also get a battery test at the nearest iPhone store in Mumbai and know about the battery’s health. Also Checkout What are Electric Blankets and What are their uses? With iOS 9 update, you can now utilize the Low Power Mode in your iPhone. This one option turns off automatic downloads, mail fetching, Siri and some visual effects that make the battery drain faster. When your battery goes below 20 per cent, this will turn on automatically. Else, you will have to turn it on via Setting in your iPhone manually. Once the iPhone has enough charge, Low Power Mode will automatically turn off. When your iPhone uses the cellular network, it tends to use as much power as it can to improve the connection. However, this does not happen if you connect your iPhone to Wi-Fi. The modem does not need to work harder when connected to Wi-Fi and hence your iPhone’s battery lasts longer. If you go for this trick, you first need to go through the battery usage information and manage it accordingly to avoid battery drain. In this option, you will get consolidated information about which app is using how much of battery. To view this, you need to go to Settings > Battery. This one is more of a backup option during long journeys and trips than a trick to be used in day to day lives. Well, you can also use it when you are stuck in the long traffic in Bandra. So, visit the nearest iPhone store in Mumbai and snap on a phone case with a built-in juicer. You can go to Unicorn’s website and check the location of the stores. Done reading? Cool! Now enjoy your days with your brand-new iPhone and make the most of its features. What Are the Benefits of Using Spectrum TV Streaming Media?